With a unanimous vote by Vancouver City Council, the city will become the first in Canada to regulate dispensaries selling cannabis for medical purposes. The decision will see the city issuing business licenses to sellers that meet the city’s requirements. Vancouver is already host to nearly 100 such dispensaries operating in legal limbo as city police have not prioritized any effort to have them shut down. City officials hope that these new regulations will temper the ‘wild west’ culture that has grown around the previously unregulated business. This new municipal policy stands in stark contrast and conflict with federal law that would see these stores shut down and medical cannabis distribution controlled exclusively through Health Canada’s very limited mail delivery program. At the centre of the city council’s decision is Councillor Kerry Jang who led the council on this issue. 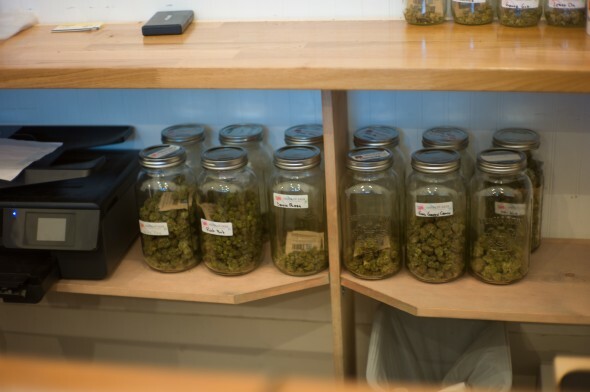 While these regulations go a long way toward legitimizing the medical cannabis industry on a municipal level, they will also see many dispensaries closed down for falling outside of regulatory parametres. Dispensaries operating within 300 metres of schools, community centres or other cannabis dispensaries will be forced to move or close. Remaining stores will have to purchase a business license from the city priced at $30,000, significantly higher than the cost for any other type of business. Jang says that the higher fee is due to higher costs to the city associated with these businesses. “We expect that it’ll cost us $1.4-million to implement the new rules and implement proper inspections,” he explains. Dana Larsen, leader of cannabis activist group Sensible BC, owns two dispensaries in Vancouver and sees the new bylaws as a step forward towards cannabis policy reform. However, he also notes the stipulations that will result in some stores closing as unfair. Under the new bylaw, one of Larsen’s two dispensaries may be forced to close. He says Sensible BC will not argue with any of the regulations at this time. The decision to regulate, rather than prosecute, the semi-legal Vancouver medical cannabis industry has drawn outrage in Ottawa from the prohibitionist Conservative federal government. While the government does have a Supreme Court-mandated medical cannabis program, access is kept severely limited. Health Minister Rona Ambrose condemned the decision in a statement. Ambrose also sent letters to the city councillors reminding them that cannabis is illegal and claiming that legitimizing dispensaries will lead to increased use by young people. Supporters of the bylaw have been quick to dismiss the Health Minister’s opinion. “No dispensary in town is marketing to kids,” says Larsen. There were several reasons for the city’s decision to ignore the fed’s marching orders to shut down all cannabis dispensaries. Councillor Jang explained that a city-wide crackdown would be impractical due to disinterest in enforcing unpopular policy among VPD brass, as well as potential backlash from Vancouverites. “It’s up to the Vancouver Police Department to decide where the priorities are,” says Jang. “[A crackdown] would be very costly, very politically damaging and ultimately I don’t think it would help anyone’s political goals,” says Larsen. While Vancouver is the first city to pass regulation bylaws for dispensaries, it’s far from the only city in Canada to allow the stores to operate. Public opinion in recent years has shifted against prohibition with a 2012 poll showing 66 per cent support legislation in Canada. Both the Liberal party and NDP have promised more liberalized cannabis policy if elected in the upcoming election.